A high nitrogen content per leaf area (Narea) induced by drought can enhance water use efficiency (WUE), but may also increase leaf construction cost (CC). Wei et al. hypothesize that maximizing Narea would constitute a process to balance WUE and CC in drought-resistant plants along a rainfall gradient. They find that below a drought threshold with moisture index ≤0.29, drought-resistant plants tend to maximize their WUE through increased Narea at a given CCarea. 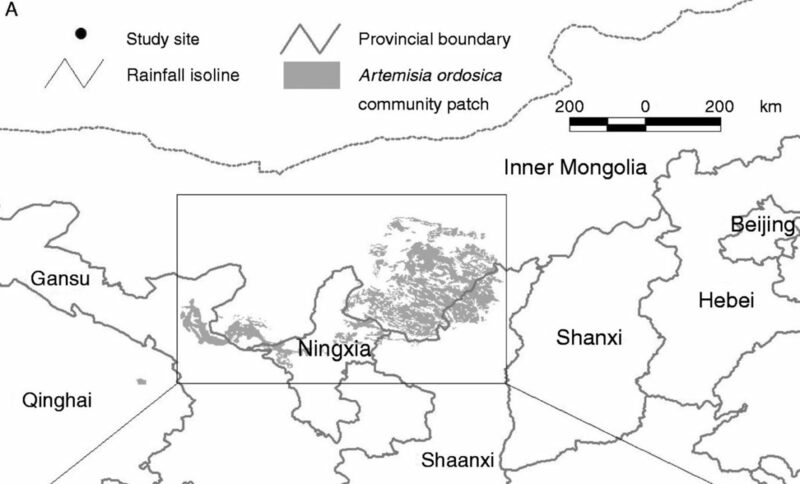 The drought threshold corresponds well to the zonal boundary between typical and desert steppes in northern China, suggesting a linkage between leaf traits and arid vegetation zonation. Next articleHow do you wake a sleeping seed?